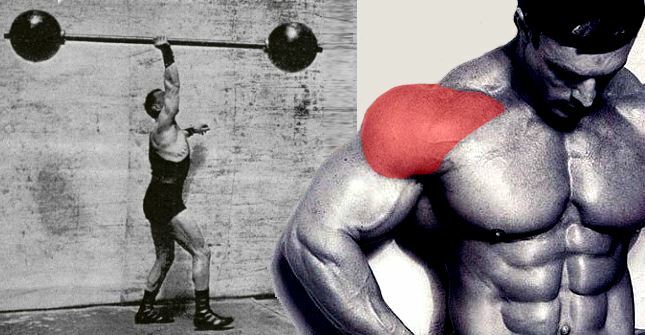 You’ve finally decided that it’s a high time to give your shoulders the necessary attention, and you want to know which exercises are the best for this newly found purpose of yours. Before we start, you need to know that shoulders are not the easiest body part when it comes to working out. 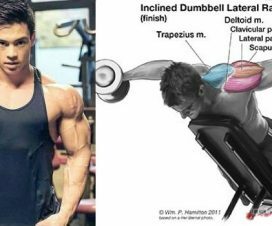 They participate in so many of the chest and back exercises, that often it seems utterly unnecessary to do any shoulder isolation exercising. 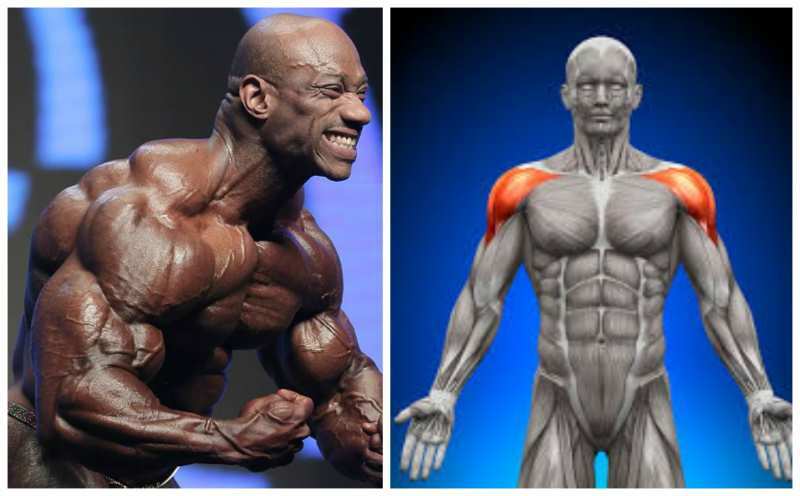 The deltoids pose yet another problem when it comes to shoulder exercises. Since they usually have more stamina compared with the other muscles, sometimes it can be rather difficult to determine whether the exercising have any effect. 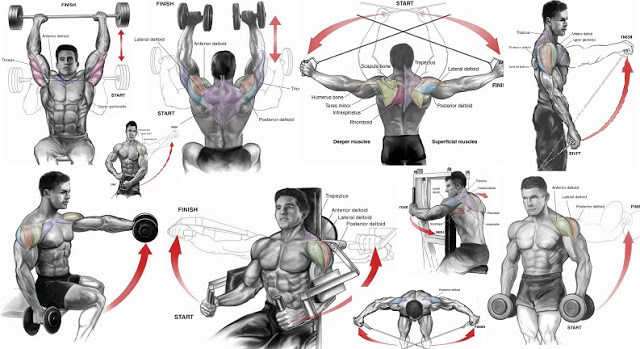 One of the shoulder routines that the most of the bodybuilders choose usually consists of overhead press, after which they do single-joint exercises that target the side deltoids and rear deltoids. 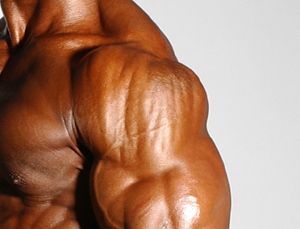 Although this combination may work for a while, it’s essential to add diversity into your routine, including a variety of exercises that target your deltoids in order to shock them and prompt the growth. In fact, the alteration of the exercises has been scientifically proven as one of the most important methods in strength gains on the long run. In other words, doing the same shoulder exercises on the repeat will get you nowhere. We offer you a list of 7 shoulder exercises that you may want to include into routine. The kettlebell shoulder-to-shoulder press targets the front and side deltoids. Hold the kettlebell over the right shoulder with both hands. Extend your arms to lift it over your head. Bring it down to the other side. Repeat the movement. What you are doing is essentially a shoulder press with the added side-to-side movement with a kettlebell. By moving the kettlebell from side to side, you alternate the stress distribution between the shoulders with each rep. Also, by putting the shoulders slightly forward you target them slightly differently than with the shoulder press. Another benefit of this exercises is that it provides unilateral training to your shoulders, because you lift each side separately. In this way you can straighten any imbalance of strength that you might have in your shoulders. To achieve this it’s crucial that you keep the reps in an even number. 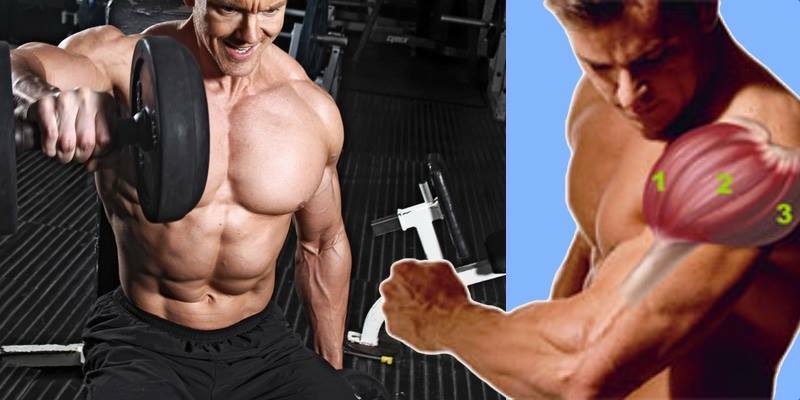 Ideally you should aim for 14 reps in total. If you find this too easy, don’t increase the reps count, but take heavier weight. This exercise works the best if you perform it after doing heavy press exercises. Because it is hard to lift heavier weights over your head, this exercises is not something you would usually use for overloading your muscles. However, if you included it later in the protocol it can be a great tool for annihilating your shoulders. This exercise is performed by attaching a barbell to fixed rotational device called a landmine, and primarily targets the front and side deltoids. Grab the barbell with one and make sure that you’ve found your balance by slightly bending your knees. Press the barbell with your arm taking it overhead and forward until it is fully extended. Return to the starting position and do all the reps before switching to the other side. This exercise is preferred by many people, because the traditional presses – like overhead press – can be painful for the shoulder joints. The movements of this exercise are much more natural, and as a result it’s preferable for people suffering from shoulder pains. In addition, since the exercise involves only one side of your body, you are constantly out of balance, and you need to employ your core muscles to keep you straight. The landmine barbell can be used for performing another exercise which closely resembles the kettlebell shoulder to shoulder press. The fixed position of the landmine allow you to handle additional weight, and since you are using a barbell instead of a kettlebell, the grip is much more natural. Keep in mind that the number of reps in this exercise should be even, because you are alternating the sides. 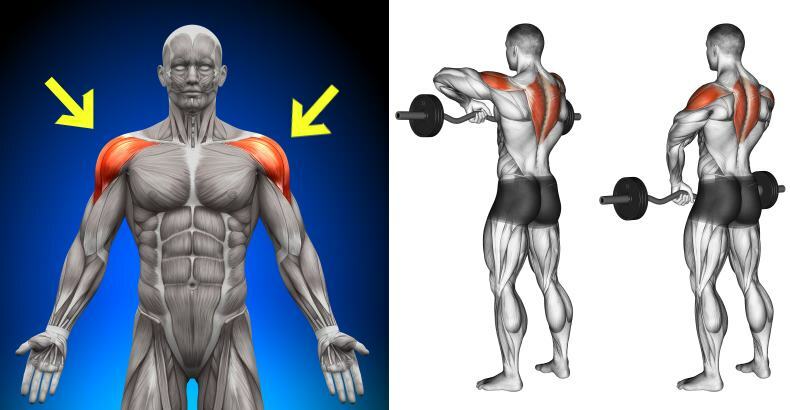 The landmine shoulder-to-shoulder press is especially good for people suffering from shoulder pain. This is due to the fact that you are not lifting the weights above your head, but moving the weight at an angle. If you have shoulder presses in your daily routine, this exercise should be performed later in the training. If you have chosen to use this exercise instead of shoulder presses, than you should move it to the early stages of your workout. We recommend doing 8-12 reps of this exercise after you have finished with your heavy presses. It primarily targets the rear deltoids. First adjust your bench to maximum incline. Grab the weights and lie with your belly flat on the bench. Press the weights upwards with the same movements as in the shoulder press. Because this exercise puts most of the strain on the rear delts and traps, it is a fantastic follow up exercise for shoulder press.